Everybody likes when they get to pick their own prize! So we’re running a contest where the winner gets to pick up to $50 worth of genre TV shows on DVD and/or Blu-ray. You can pick from current shows such as Teen Wolf and/or classic shows such as The X-Files. Doesn’t matter what genre TV show it is, whether it’s DVD or Blu-ray, single season or multiple seasons. Pick whatever titles you’d like that are sold and shipped by Amazon.com as long as what you pick totals up to $50 or less. To enter the contest just submit an email, voicemail or Skype message with the following information: the code phrase played during the show, your name, your email address and your home town. The code phrase is played during our weekly podcasts, such as Show #294 or Show #295, Show #296 or Show #297 and during all our weekly shows while the contest is running. The contest begins today. Submissions must be received by Friday July 18, 2014 at 11:59 PST. Submitting your email or voicemail with the information in the Eligible Entry section below permits your name to be entered in a random drawing where one prize winner receives up to $50 worth of genre TV show DVDs or Blu-rays (winners choice). Include the code phrase played during the non-spoilery Water Cooler segment of our regular weekly podcasts while the contest is open (don’t worry, spelling doesn’t matter). The same code phrase will be given out on each of the podcasts during the contest time period so you only have to hear the hint once to complete your entry. – Email your entry to contest@tuningintoscifitv.com with the Subject of Pick Your Own Genre TV Shows Contest. – Leave a message with your entry on our Voicemail at 206-202-4182 and tell us it’s for the Pick Your Own Genre TV Shows Contest. 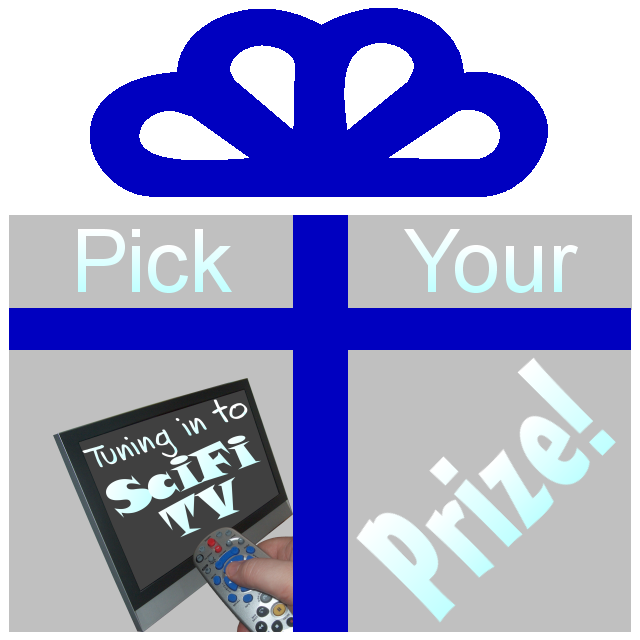 – Use Skype to call tuningintoscifitv and leave a message with your entry and tell us it’s for the Pick Your Own Genre TV Shows Contest. The winning entry will be selected based on a random drawing from all valid submissions. One entry per person. The winner will be announced on the Tuning in to SciFi TV episode scheduled for release on or around July 22, 2014 and also notified by email.